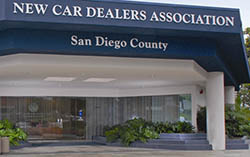 Founded in 1940, the New Car Dealers Association® San Diego County (NCDA) represents the franchised new car and truck dealers in the San Diego region. The NCDA’s role is to address and provide programs and services responsive to the needs of its Dealer Members. It seeks to speak and act on the behalf of those members in communicating with organizations and individuals who share its interests. Membership in the New Car Dealers Association provides a front line resource to the San Diego County automotive industry and with this affiliation incorporates a variety of benefits, events and programs specifically designed for Dealer Members. New car dealers have a significant and positive monetary impact on San Diego’s economy, with over $11 billion in combined sales and employing nearly 14,000 workers in 2016. 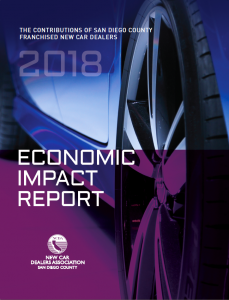 Our Economic Impact Report highlights employment statistics, tax revenue generation, advertising spending and charitable contributions – all which demonstrate that San Diego’s new car dealers are a major economic force in the county. Learn more about our Economic Impact Reports. 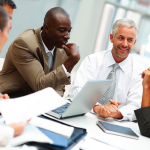 Click here for a directory of existing Associate Members. 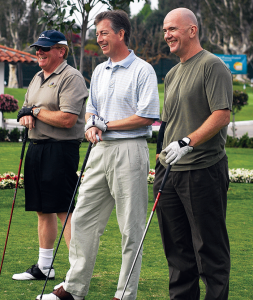 Benefits of Associate Membership include: company listing in the Membership Directory, participation and sponsorship opportunities at the annual NCDA Annual Golf Tournament, opportunities to advertise and submit articles to San Diego Dealer magazine, invitation to the annual dealer dinner, a dedicated Associate Members section on the NCDA’s website and additional dealer communications options we’re presently developing. For more information, or to apply for an Associate Membership, please contact us. The New Car Dealers Association and its Dealers Members support the San Diego County community through a variety of philanthropic programs and contributions. During the past several years, the NCDA and its Dealer Members have provided millions of dollars to support underprivileged youth, children and young people with disabilities, home-bound senior citizens, and military families in need. 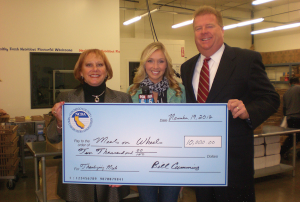 For more than a decade, franchised new car dealers have provided the funds for Meals on Wheels San Diego to deliver Thanksgiving meals to all its clients. Dealers played a major role in establishing Honor Flight San Diego, an organization that assists World War II veterans fly to Washington, DC to see their memorial and be honored for their service. Additionally, franchised new car dealers support organizations like the California Highway Patrol’s Auto Theft Advisory Committee, which annually honors law enforcement officers who recover stolen vehicles and arrest those who are involved in auto theft in San Diego County. 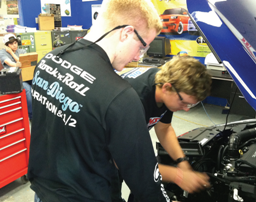 Additionally, the NCDA provides educational support for students in San Diego County seeking careers in the automotive industry through the New Car Dealers Association Endowed Scholarship. requests at this time as we have already allocated our budget for 2019. Ev ery spring, the NCDA hosts its annual golf outing that brings together Dealer and Associate Members for an exciting and competitive day of golf. In addition to trophies for Best Gross and Net scores, competitions include a putting contest, longest drive, closest to the pin and the always challenging $100,000 hole-in-one contest. The day concludes with a festive cocktail reception, dinner and famed opportunity drawing.